In case you hadn’t heard, NoMad is getting a new bagel shop this month—and one that’s perfectly aligned with our neighborhood’s food aesthetic. Black Seed, the eclectic bagel shop blending New York tradition with Montreal sensibilities, is opening a brand-new location this June at the Ace Hotel, located at 20 W. 29th Street. 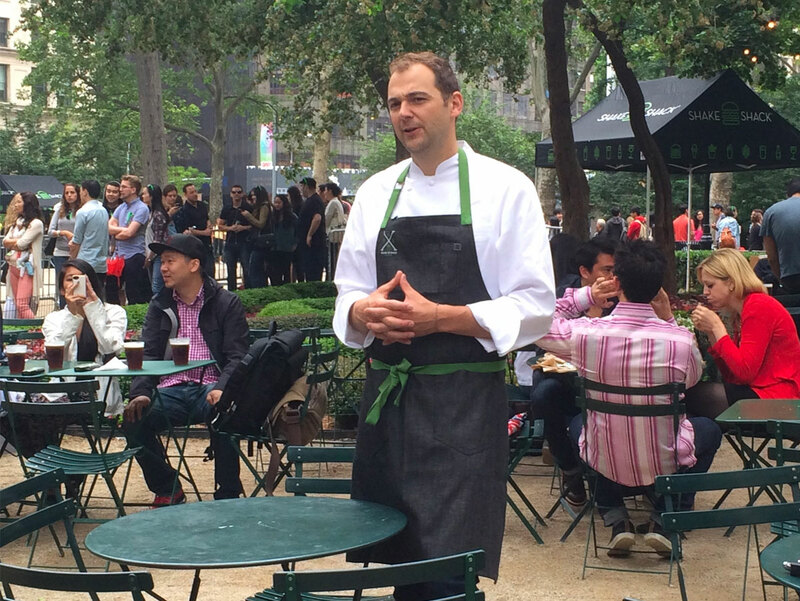 To honor the opening, chef Daniel Humm from Eleven Madison Park has created a specialty bagel sandwich which is available only for the month of June. As Food & Wine reports, Humm’s “NoMad Bagel” begins with a celery seed bagel stuffed with smoked sturgeon, pickled shallots, pickled celery root and sliced celery, all held together with a schmear of black truffle cream cheese. It’s a refreshing, summery combination sure to satisfy a New Yorker’s discriminating taste, designed by the head chef of one the highest-rated restaurants in the world—which, as fortune would have it, also resides in NoMad. Founded by two friends from NYC and Montreal, Black Seed opened its first shop in SoHo four years ago and was met with almost instant popularity with lines stretching out the door. Since then, the shop has expanded into locations in Battery Park and the East Village—and now has arrived here in NoMad. Black Seed boasts of bagels meticulously hand-rolled and boiled in honey water for a tinge of sweetness, then baked in a wood-fired oven to finish. The brand’s menu has also expanded to include sandwiches, salads and even pizza bagels. As part of its continuing appeal—and obviously to keep people coming back for more—in 2015, Black Seed began courting renowned chefs to design monthly, limited-edition bagel sandwiches. This tradition has become a staple for Black Seed bagel fans, and Chef Humm’s latest bagel creation represents the latest in the series. If you live or work in NoMad, you now can enjoy one of NYC’s finest bagel shops at the Ace Hotel, just steps from your home or office. Hurry though: You can only enjoy the exclusive “NoMad Bagel” for a few more weeks.